Say you need to find a route to your hotel in another city, or locate the nearest restaurants — maps are there for you. Having trouble identifying where you are, exactly? Maps can help with that, too. Late for a meeting? Maps can show you the way wherever you are. 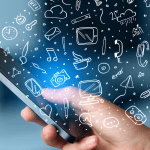 With mobile apps being closely connected with the reality around us, more and more businesses understand the significance of map integrations. People are using location-based services on a massive scale, and mobile apps are the preferred way to use them. According to statistics, more than 50% of users prefer to access maps from their mobile devices rather than desktop computers. Of all mobile users, 90% are constantly using location-based services, according to the Pew Research Center. The times when maps were associated only with travel apps are long gone. Now, location information is used in almost every kind of application, whether it’s retail, social media, dating services, security or Uber-like apps. Marketing is another sphere closely connected to geographies and locations and, according to the LBMA 2017 Global Location Trends Report, over 50% of all brands use location data to target their customers. It works, because most modern devices have GPS capabilities that allow them to use this data for customer service. LBS is sure to become even more popular in the future: businesses will be able to offer their customers real-time deals based on their locations, and customers will continue to enjoy the check-in trend that allows them to share their location data with friends. 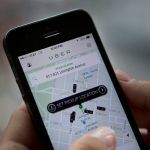 Every year, the biggest map providers like Google and Apple improve their apps by adding new features and functions, but there appear other players on the market that are increasing the overall competition. So, the growth of online mapping services is becoming more intense, and your app can make the most out of these advances. In this article we will outline the potential of maps and opportunities that your app can benefit from, while providing an apple maps vs google maps comparison. Maps are complex structures made of layers or so-called polygons. Each polygon is responsible for showing a particular kind of information on a map. For example, there is a layer that shows all the roads, there is another layer with buildings, markers, rivers and any other objects you can see on a map. Think of a hamburger to imagine how all these layers are assembled: the first and the lowest one is completely white, and then all other layers go onto it, making up a complex map with all kinds of information. Polygons are the main thing that make a difference among all applications on the market: there can be some special polygons with exclusive information. For example, Waze is focused on showing routes, items on the road or any hazards, like accidents. This is what makes Waze unique. The biggest players on the market that allow integration with mobile apps are maps from Google and Apple. They allow anything you may need from a map to make your application location-oriented or add features based on location data. Let’s review the elements that maps have to offer. Showing places of interest is a basic feature for any map service. According to your preferences, you can choose to show or hide them — depending on your app type. Places of interest are especially useful for travel applications — this really doesn’t need any additional explanation. Users can also check whether the chosen city has tourist features, etc. Of course, they may not only be useful for travel applications, but also for retail. If your shop is situated near some remarkable places, it may be easier for your clients to find you, as they will recognize landmarks in your neighbourhood. Street view is a Google maps feature that can also be a great help when it comes to travel applications. It provides visual information that isn’t available when looking at the map from above. Street view gives a destination some context, and makes it possible to recognize it even more quickly. Here is what Google has accomplished in terms of Street views over the years. There are, however, certain drawbacks to this function. Street view is based on compiled photos of many sectors and, sometimes, these sectors are not compatible because the photos were taken during different times. So, if you are thinking about an application that requires real-time information, street view won’t be able to provide that. 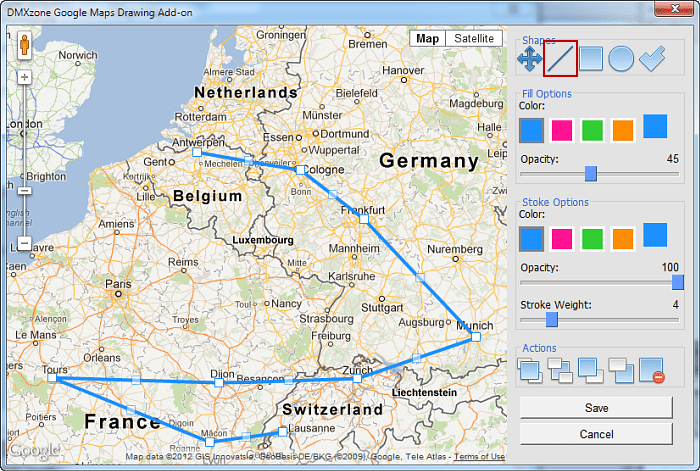 Customization allows you to make the map’s design coherent to your application style. If you think that your app’s interface is different from what standard maps have to offer, you can change it. For example, you can change the colors of the roads or other objects on a map. In addition, you can remove certain objects or markers, which is helpful if you only need to show one piece of information to a user, without distracting them with other bits and pieces. For example, if you build a medical app, you can have your map only show hospitals and drugstores. You can remove polygons with unnecessary information and leave only the data your users will need. There is also the possibility of creating your own marks or changing their design, which can add more to your app’s style. Instead of using regular drops as markers, you can add the logo of your store or company to mark your location. Location-based games can also use this feature. For example, in the famous game, PokemonGo, the markers became small images of pokemons. Info windows are also customizable, and you can add media content like photos and videos. This feature is very actively used in Airbnb. Though they haven’t changed the standard map design, the info windows feature photos of apartments. This feature has been added recently, and it allows users to see what’s inside a big building; for example railway stations, airports, museums and big shopping malls. 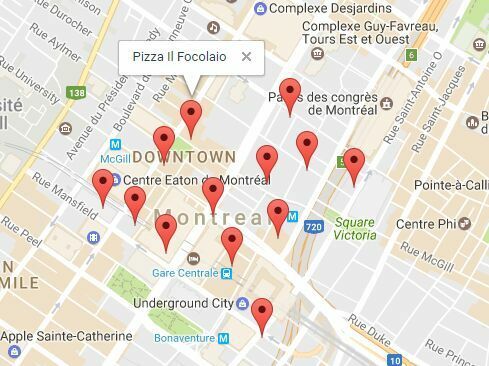 This feature is very useful for travel apps and retail, because it allows users to find the right shop or restaurant in a big multi-storey building. Users can choose the store they need by switching from one floor to another. A ground overlay is an image that is pinned to a map. Unlike standard images, it is laid over the map’s surface so that, if you extend, spin or tilt your map, it will affect the overlaid picture, too. Polylines are used to draw routes. You can show the way to your shop or company, or use lines to build routes for quests. The possibilities are immense. Polygons and circles can be used to define specific areas. These may be used in travel applications to show a festival territory, or in ecology applications to show where the the territory of reservation is. Any shape or line can be customized in several ways: you can change their color or assign different colors to separate line sectors. Thickness and kinds of lines (dotted or solid) can also be changed, according to your desire. A mobile app for restaurant ordering can utilize this feature by adding areas with different time and cost of delivery: if the city is big, many delivery services divide it into areas, so users know when to expect their delivery and how much it will cost. 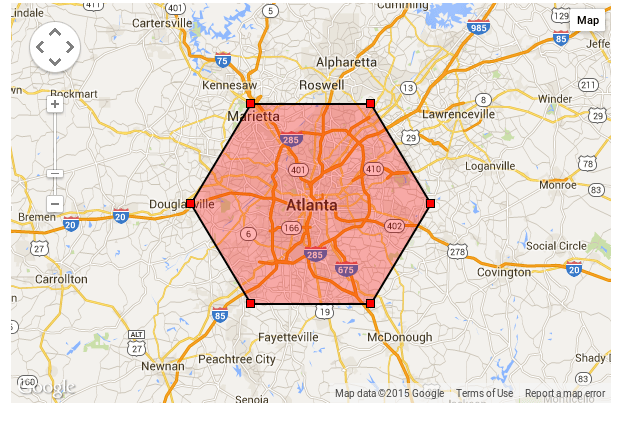 Polygons is a great way to visualize these areas. Marker clustering is very useful when there are too many pins on your map. For example, a big retailer that has many stores spread all over the city, can implement this feature, and the markers will be in separate clusters — this will allow the user to see the map more clearly and specify the exact location of each separate store only when zooming in — at which point the cluster will then break down. You can customize clusters, and a service program allows you to work with several types of clusters on different scale levels. “My location” is another basic feature that can be used in many types of applications. It’s initial function is to help users find a way from or two one destination and another. By default, this button doesn’t come with standard maps, but you can implement it separately. Personal location is one of the most important and common pieces of data we can get from a person. One type of app where this is used is parental control applications. Usually these apps are connected to some sort of wearables for children that can detect the child’s location. There is also a simple call feature embedded into the wearable, for example, smart watches. 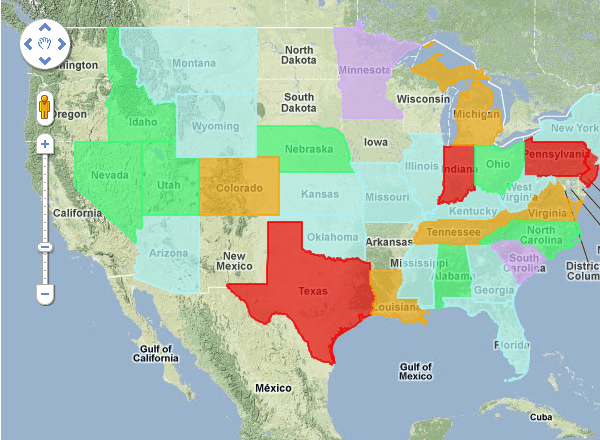 By using this feature, you can add new layers with your information on standard map layers. For example, if your app is focused on routing, you can add a layer with real-time info about traffic jams. Gas Buddy is an app that allows users to see the information about gas prices in different cities in the US and Canada, for example. 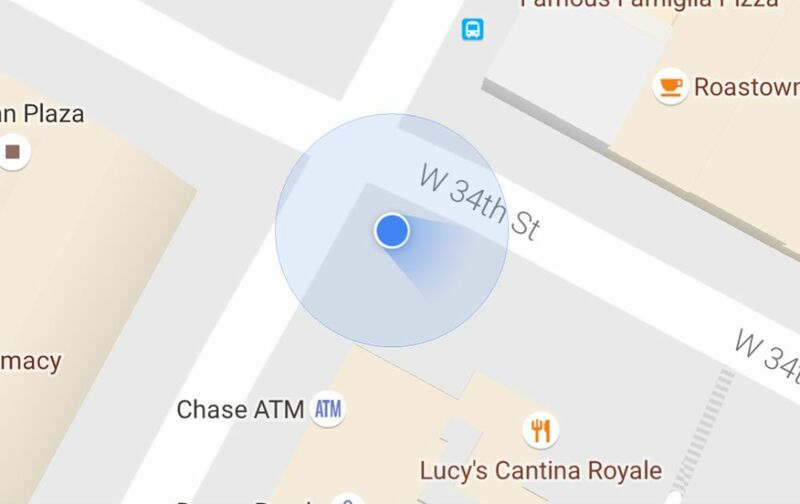 You can even replace standard data in Google Maps with your own. 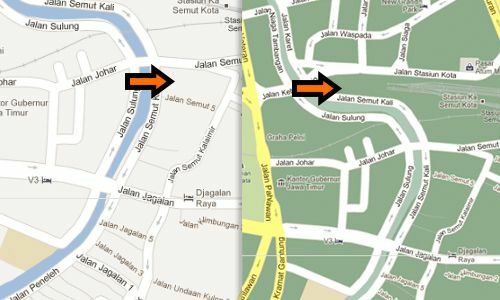 Now that we have discussed basic map functions and ways you can use them in your mobile application, let’s make a brief comparison of Google and Apple Maps. Google maps has been around for a long time — longer, than those from Apple and, until recently, nobody had a doubt that Google Maps were the best on the market. In the beginning, Apple had significant problems with their own mapping service, and, for that, they got lots of critique. Now this “google maps vs apple maps” battle isn’t so simple, as Apple has evolved greatly over a relatively short period of time. Now Google and Apple maps are the two biggest competitors on the market. Let’s look at their main differences. One of the main differences between google maps and apple maps when it comes to app development is, of course, their availability on different platforms. While Google offers API for both Android and iOS devices, Apple Maps are only available for iOS devices. Beginning with iOS 6, they have been preinstalled among other software on Apple devices, replacing Google Maps. Google map availability rises a question: google maps vs apple maps for ios — which one is better? Let’s look further for more comparison. When you compare apple maps and google maps, it is easy to notice that while Google is place-oriented, Apple is more navigation-oriented. Google helps to explore new places by offering reviews from visitors and additional information — for example working hours, popular times, photos and ratings. Of course, Google can also provide decent navigation, and you won’t be lost trying to get to where you’re going, but Apple has put some additional work into making navigation more convenient for the user. Apple has its turn-by-turn navigation feature that provides spoken instructions for drivers, pedestrians and public transport. This navigation function is available in 56 countries around the world. Moreover, Apple provides real-time traffic information, that allows users to plan routes more effectively. On the other hand, Apple tries to give more information about places, too: around twenty companies like Yelp, TripAdvisor and Foursquare are providing information about different places of interest via Apple Maps. Design is, of course, a subjective thing, but many users agree that in a battle of apple maps versus google maps Apple demonstrates a more coherent and subtle map design. It provides a better UI, though there is nothing wrong with Google’s map design, it’s just that Apple’s is more pleasant to look at. Apple also uses this small detail to attract users. Features like Flyover give an even more attractive appearance, and Apple doesn’t stop there — in iOS 11 it presented a new AR flyover feature that allows users to see the city from above by moving the device around. In our opinion, Apple wins this round. One of the best things about Apple Maps is integration with Siri. 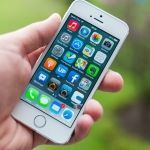 It supports voice commands, which is very convenient for iPhone users who like interacting with Siri and managing their devices with her help. Google has OK Google, which is not as advanced as Siri, unfortunately. The best it can do is to open the application and show you a place you requested. Siri, on the other hand, is able to do more — she can build a route for you and give directions. 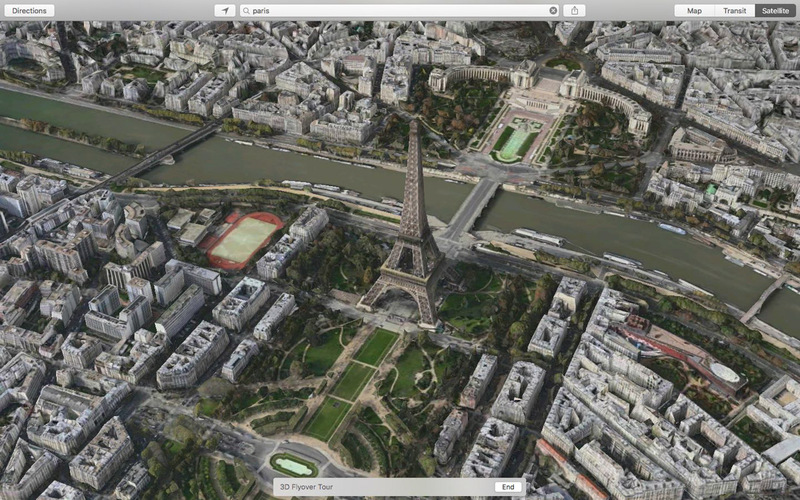 If we compare apple maps vs google maps according to their accuracy, Google is probably the winner. Though Apple has improved a whole lot in such a short period of time (since 2012, compared to Google maps that launched in 2004! 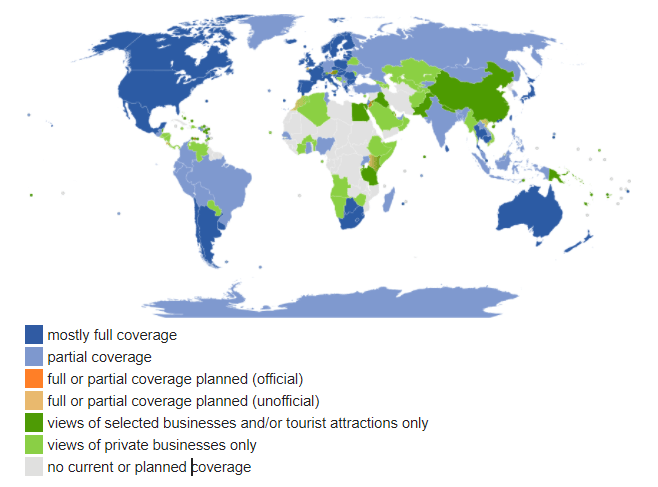 ), Google maps are still more robust and provide more accurate information. If you experiment and zoom in the same section on both platforms, the information on Google maps will be a bit more accurate and detailed. Well, Google is more experienced and has been on the market for a longer period of time. In addition, it put in a great deal of effort to get things right. Location has become one of the most significant pieces of information about any person, and location services has proven to be an extremely useful service that is used in almost every aspect of our lives. This is the reason why using maps is significant to any kind of business nowadays. Adding maps is a useful, and even necessary, solution for almost every kind of app. 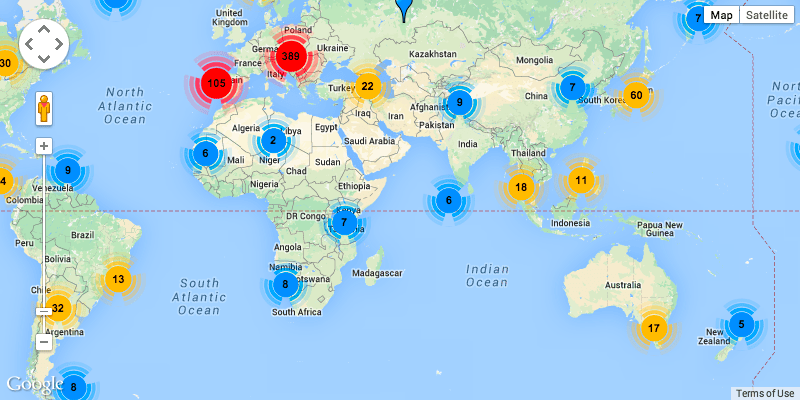 We at Mobindustry have experience with adding maps to our clients’ mobile solutions. No matter, whether you prefer Apple maps or Google maps, we can help you with building a map solution for your application. Don’t hesitate to send us a request and ask any questions you might have.